Now your wait is over !! 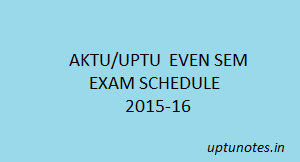 AKTU finally release their Even Semester 2015-16 Exam Schedule. To view the schedule follow this post. For this session, University has proposed to conduct the practical exams before the theoretical paper. 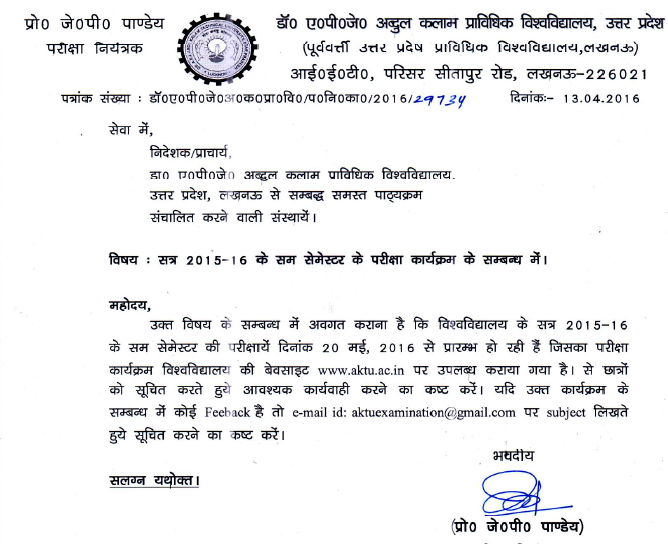 The even semester exam is going to held in the second week of May 2016 i.e. 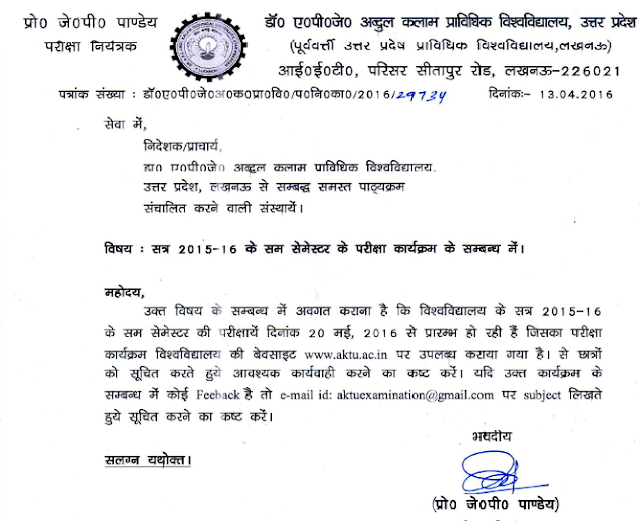 from 20 May 2016.For all the branches of BTech exams are starting from 21 May 2016 and the last exam is on 11 June 2016.For BArch, the semester exam is going to start from 20 May 2016 and will end on 6 June 2016.The university has released the date sheet of each branch accordingly and students can download it from the official website of university. Hopefully, we have covered all the topics like AKTU Even Sem Schedule 2015-16, UPTU Exam Schedule,BTech Schedule,BArch Schedule,Even Sem Exam Schedule 2015-2016 Download,Carry Over Exam Schedule 2015-16. If you have any query then you can comment below and we will get back to you as soon as possible. You can also connect to our FACEBOOK page and get updates of Notes, Previous year papers and much more. So click one the like button If you like our post then do share with your friends and help him to get good marks.